Superior thrips control with no known resistance issues. Also effective on aphids, scale, leafhoppers, and more. No matter what type of insect or fungus you’re dealing with, SePRO has a solution to keep your plants healthy. Your ideal tool for whitefly, aphid and mealybug control. Rycar offers immediate stop-feed and long-lasting effects. A versatile PGR for uniform growth regulation, improved plant health and enhanced flowering. 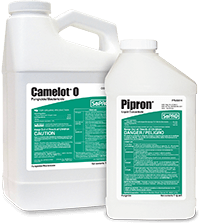 The industry standard for Botrytis control. Features excellent crop safety, no residue, and effectiveness on resistant strains.